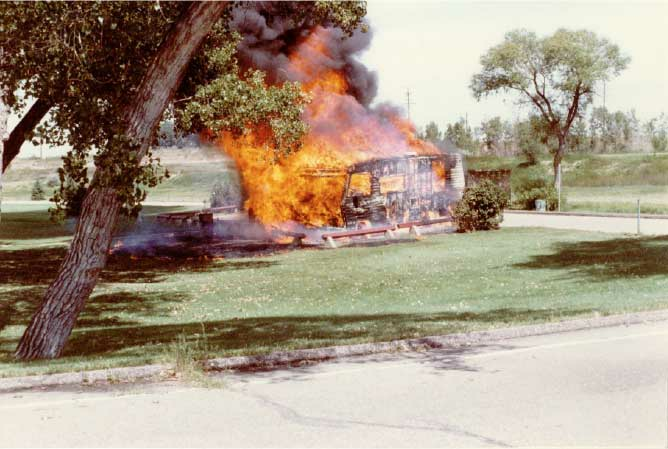 Propane is widely used in Colorado homes and is a common cause of burn injuries. This gas is safe if properly contained and used. Because of its extreme volatility, there are extensive governmental and industry standards covering every aspect of the distribution and delivery and the appliances that use it. When these standards are not met, propane can easily accumulate, ignite and explode. Propane is gas compressed into a liquid and then revaporized for use. The liquid form allows packing of the most possible energy into the least volume for easy transport. However, if you come in contact with this liquid propane, you can suffer serious freeze burns.Volume for volume, propane is substantially more powerful than gasoline. Propane vapor is heavier than air. Therefore, it has a tendency to pool. In a building, a basement, or any confined space such as inside a vehicle, it can form explosive concentrations in substantial volume from relatively small leaks.Propane is naturally odorless and is chemically odorized to enable detection of leaks. The propane industry has struggled with the ineffectiveness of this odorant. Several factors seem to be at work. First, the odorant in a pool of gas spread out along the floor doesn’t reach a person’s nose before the ignition source is introduced. Second, the odorant can also get “scrubbed” from the propane under certain circumstances. Finally, and most dangerously, some people simply cannot smell the odorant. Most propane accidents involve flash explosions that occur when someone is trying to relight a furnace or water heater, or perhaps creates a spark by turning on a light switch or by static electricity. Flash burns result from brief exposure to a very hot flash explosion and may not even start a fire. Typical flash burns involve a serious burn injury to exposed areas such as the hands, arms and face with no damage to skin protected by a watchband, hair or even a lightweight cotton T-shirt. Because there are redundancies in the standards that apply to the handling of propane gas, any fire or explosion involving this gas almost certainly involves a violation of a safety standard. There is a very good chance multiple violations have occurred. These violations, when discovered and proven, are extremely effective in establishing the plaintiff’s case. If an accident resulted from a propane leak or explosion, contact Luke Cederberg, an experienced Boulder personal injury attorney, or call 303-499-0449. He will work to secure compensation for your propane explosion injury.